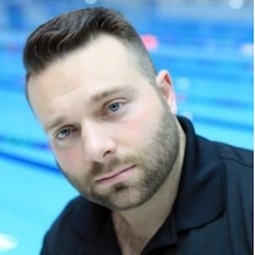 Dave Tontini is back for his second year as Director of Swimming and Head Coach at Island Swimming Club. Dave coached at Pointe-Claire Swim Club in Montréal for 10 years before making the big move out west. He has had success at every level he’s coached, including coaching multiple Junior National champions and a 2017 Canada Games Medalist. Dave was an integral part of the Pointe-Claire Swim Club program that won three consecutive Junior National Championships. Originally from Quebec, Annie began coaching at the age of 17. 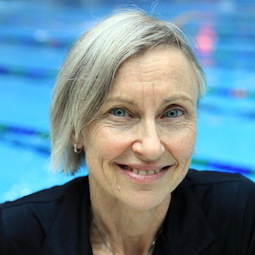 In 1999 she moved to BC, working under the UBC umbrella as an Assistant Coach at Vancouver Pacific Swim Club for 3 years followed by 2 years as the Head Coach of the Winskill Dolphins. For the past 12 years, she has been the Assistant Head Coach of the Pacific Sea Wolves. Annie has her NCCP level 3 and graduated from the National Coaching Institute diploma program with NCI Pacific. She has completed a mentorship program working with National/International coaches and participated in the Pan Am and Commonwealth Games as well as the World Championships in Montreal. 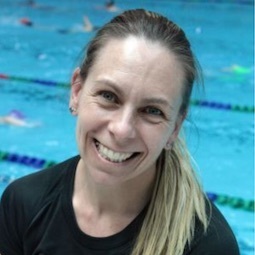 After almost 25 years of coaching mostly swimmers from the age of 10 to 16 years old, her goal is to give them the best age group swimming experience and ultimately developing well rounded swimmers who can be successful at the next level. This is Riley's fifth year with ISC, After 2 years as the Westshore Lead Coach he has spent the last 3 years as the Island Black coach. Since taking over he has coached multiple provincial medalists as well as several club record holders. Originally from Saskatoon, Riley started swimming at the age of 6. Riley held many club and provincial records as well as a national age group record before he joined the Canadian National Team at the age of 15. Riley was part of the 2004 Olympic swim team, was a member of 2002 Commonwealth Games & Pan Pacific Championships & 3 World Championship teams. He has held several Sr. National records in sprint Freestyle and Backstroke and has been inducted into the Saskatoon Sports Hall of Fame. 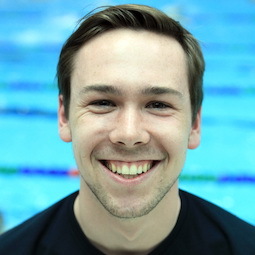 Before moving from Calgary to Victoria, Cole spent his first 5 years coaching with the Cascade Swim Club, working as a head coach for age group, 10&U athletes, and summer club programs. This is Cole's third year at Island Wwimming, for the first two years he was leading the SCP Blue group. 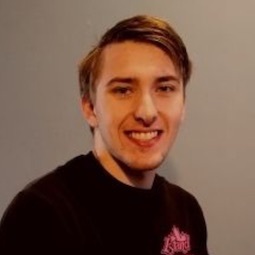 Cole is now the Lead senior performance coach Working alongside Dave with both Sr Performance and CSI. Cole brings lots of energy to the pool, and is constantly looking to Improve as a coach and help the swimmers improve as athletes. This is Tannaz's 6th season with Island Swimming. This season Tannaz returns as the SCP Green lead coach and continues to manage the School Swim & Race Program, as well as working closely with our Partnership Liaison and Wave Skills programs. Within the last 6 years with Island Swimming, she has coached groups all the way from Bronze up to the Senior level. Born in Toronto, Tannaz has always loved the nature of competitive sport and keeping kids swimming at all ages and levels. 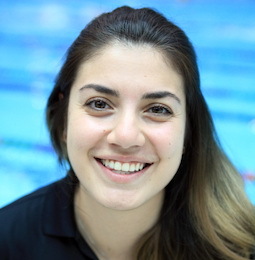 Attending the University of Victoria brought Tannaz to Victoria, where she made a transition from swimmer to coach, working with the Sidney Piranhas summer club as a Head and Regional Coach. Tannaz's favourite event is the 200 IM! She is also currently completing her NCCP Level 2 Certification. In addition to being the Lead Coach for the Island Swim Skills Gold Group, Avila is also lead coach for the Island Swim Skills Bronze liaison program. Avila is a Victoria native! In her teens, Avila was both competitive swimmer and instructor/life guard and later swam on varsity team at UVic. Avila joined ISC more than 25 years ago. As Lead Coach for the Gold group Avila gives developmental swimmers a great start technically. Avila coaches two Masters groups locally and competes in Canada and abroad for the Victoria Masters Swim Club. Avila has a BEd from UVic. She continues to train regularly, has participated in triathlons over the years and enjoys open water swimming - especially in the summer! 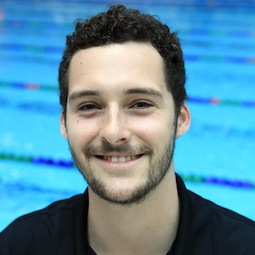 Wouter returns to the Island coaching staff for his second year as lead coach at the Juan de Fuca Pool where he will continue to coach the Island Blue and ISS Gold groups. Originally from the Netherlands, he moved to Vernon at the age of 8 where he swam and went to school. In 2014, Wouter moved to Victoria where he swam with Island Swimming and the High Performance Center's Next-Gen training program. 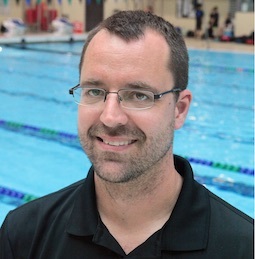 Back in 2016 and 2017 he spent his summers in the Okanagan as the head coach of the Lumby Lightning Swim Club, a summer club just east of his home town. Wouter currently goes to Camosun College where he is working on a bachelor's degree in athletic and exercise therapy. Wouter is also working on his NCCP level 2 certification. Born in Vancouver, Brett has been involved with ISC as both an athlete and coach for almost 10 years now. He began coaching in 2016 after swimming the previous 3 seasons in the Claremont Sports Institute (CSI) Program. 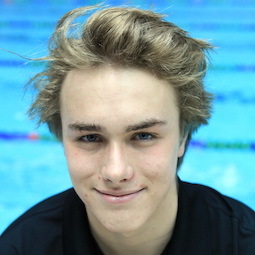 Swimming mostly at a provincial level, his favourite events included the 200m Butterfly and 200m Freestyle. Outside of swimming, Brett is currently in his third year in the Peter B. Gustavson School of Business at the University of Victoria. Brett will be coaching the Blue group at SCP after spending last season as the JDF Green & Silver coach. This is Kyle's 3rd year as the assistant for the Black group and his first year as a lead for the Silver group at SCP. As longtime ISC /CSI swimmer he has a keen technical eye and loads of experience that he brings every session. He brings endless youthful energy and a natural ability to connect with the swimmers. This is Finn’s 10th year as a member of Island swimming. Finn spent 8 years as a swimmer, moving through the competitive groups. He was then part of the CSI program in its first year, and also spent 3 years training as an invited athlete with the High Performance Center Victoria's Next Gen Program. Finn's favourite events were the 1500m freestyle and the 400 freestyle. 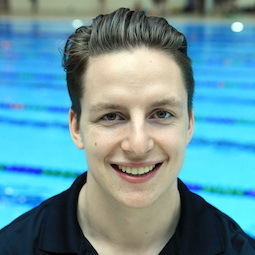 Finn started coaching for Island when he was 15 and has been a coach with island swimming for 5 non consecutive years. He also spent 3 seasons coaching in the BCSSA with the Salt Spring Stingrays as a Co-Head Coach. Finn is in his 3rd year at Camosun College studying Sport and Fitness Leadership. Finn has his NCCP 101 and is working towards getting his 201. He will be coaching the Senior Group for the 2018/2019 season.